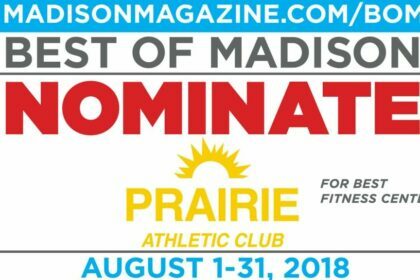 Prairie Athletic Club is no stranger to winning in the Best of Madison poll. 2018, 2017, 2016, and 2015 all saw silver wins with a gold placing in 2013. With such a run of success it’s no wonder that people from all around Southern Wisconsin consider us their go-to fitness facility. We love our members and with your help and your nomination, we can grab the gold for 2019! Sol Hot Yoga is a studio that wants every Yogi to feel welcome regardless of gender, age, fitness level or flexibility. We are a studio where our main goal is to be on top of our members needs and wants. 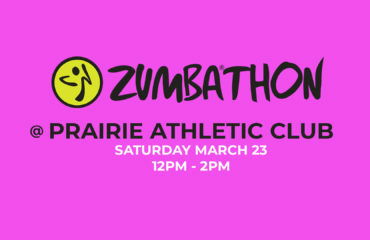 We are always catering to our members and which classes fit the best in a fitness club setting. We are not a studio that cares what brand of yoga clothing you wear or if you can do arm balances and twists that make you look like a pretzel. We simply want our members to feel comfortable on their mat and just be able to honor the space they are holding for themselves. We vary our workouts so that we can prepare for many different physical challenges, focusing on highly functional movements (movements you do in your daily life) like squatting, lifting, pushing, and pulling. All CrossFit workouts are based on those functional movements, and those movements reflect the best aspects of gymnastics, weightlifting, running, rowing, and more. Our goal is for every Vultus athlete (when you come in our box, you’re an athlete) to work at an intensity that is challenging for them, but also to able to perform the workouts SAFELY. We aim for every movement to be as skilled and safe as possible. It includes Dolphins Cove which is one of the best outdoor water parks in Madison, WI and an amazing venue for kid’s birthday parties. Fun also awaits at Adventure Lagoon which has over 50,000 square feet of adventurous and exciting space. 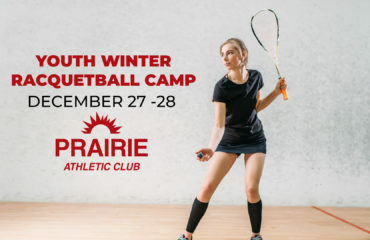 If you are searching for one of the best party venues close to Madison, Prairie Athletic Club offers the perfect solution. Plan a visit with us and experience a vacation like no other! Dolphins Cove features over 800 ft. of high speed super slides, a zero entry family pool, 250 gallon water bucket dump, sand volleyball courts, sand play area, nightly volleyball leagues, and so much more….Our new 229 inch Jumbo-Tron HDTV has arrived at Dolphin’s Cove Outdoor Waterpark for sporting events, family movies nights and so much more! 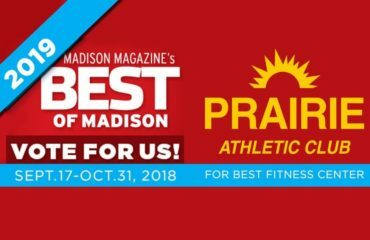 There are two rounds of voting for Best of Madison 2019. The first round of nominations are live now! From August 1 – 31, nominate any local people, places or things to do in a wide variety of categories. You can vote every single day in each category per valid email address. Up to six top vote-getters in each category will become finalists in round two. The final voting period is from September 17 – October 15. Unlike round one of daily voting, in round two of final voting, you will only be able to vote once per category, so consider your pick and make your vote count!